Takatora asks why Mitchi is doing is. Mitchi de-henshins and laughs. This is all Niisan’s fault, after having controlled Mitchi’s life and then not be there when he needed him most. Mitchi tells his Niisan to back off. 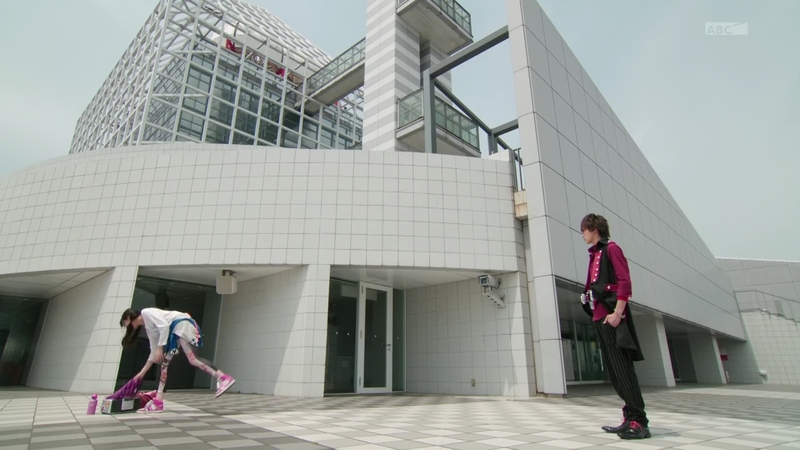 Just then, Kaito runs in, but Redyue stops him from getting any closer. She slices at his arm and whisks Mitchi, who she says is still very useful to her, away from harm. 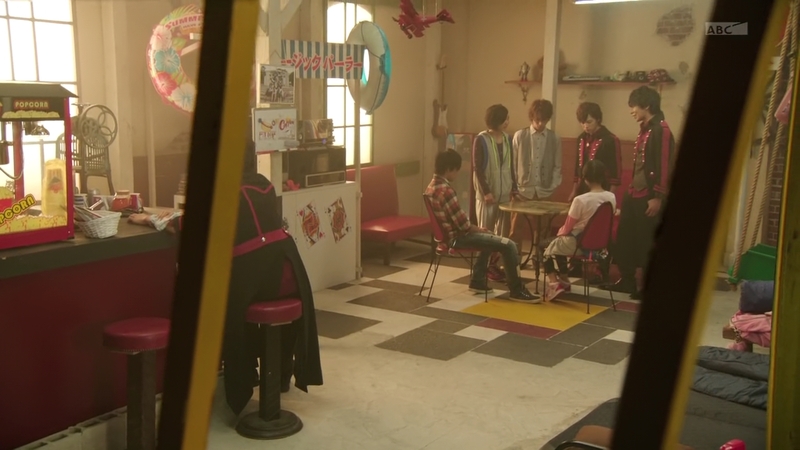 Kaito asks Kota if he’s finally awake, but Kota and Takatora are still trying to process what they’ve just learned. Everyone at the Garage is in disbelief as well. But Kota still comes to Mitchi’s defense, saying he lied about his true relationship to Yggdrasill because he wanted to remain their friend. Mai says Mitchi’s love of dancing was no lie. But Kota says Mitchi is not without fault. That he continued to lie is the most painful part. Kota wants to talk with Mitchi to hear his true feelings as he may just be under the Overlord’s control. Kaito sees his wound is Helheim green, but he gets up to again try to get Kota to open his eyes. Hasn’t everyone Kota’s ever fought been people who he couldn’t talk to? 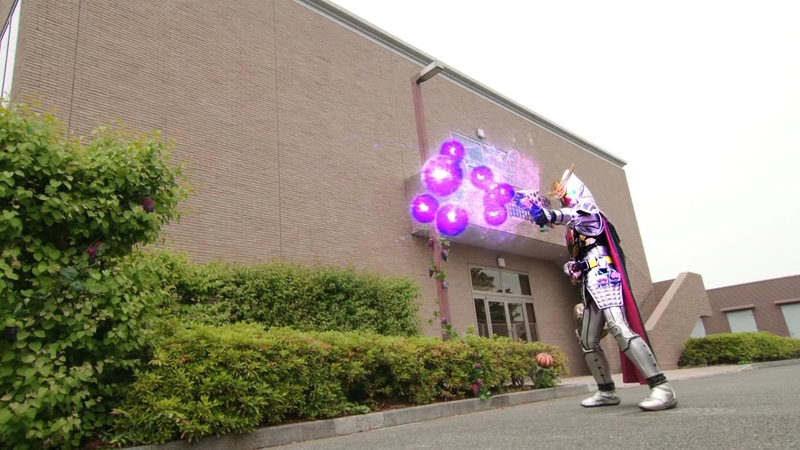 If Kota faces Mitsuzane, will Kota be able to fight him? Outside the Garage, Minato and Takatora are catching up. Minato tells Takatora about Ryoma pretty much using everyone, including them, for his own gains. “Do you hate me?” Minato asks. Takatora says despite their past, now’s not the time to be fighting amongst themselves. If she helps them against the Overlords, she’s an ally. “So, anyone who helps the Overlords is an enemy?” she asks. Redyue says that was the first time she realized how much joy there is in using people as toys, especially getting to see the shocked faces of those who had once trusted her. It is hilarious. But what’s more exciting is when a toy you’re playing with breaks. Redyue says she can consider Mitchi her equal only when he experiences that. Mitchi says not to underestimate him. He has the full resolve to see this through. Next day, Kaito comes across Mai again practicing in the middle of the city. She has time to practice at a time like this? When thinking too hard gets her nowhere, she finds comfort in moving her body. But Kaito says she should just accept that Mitsuzane is her enemy instead of having to struggle with wondering why. Kota is at Drupers and Bando tries to get him to eat again. Takatora walks in and asks to talk. 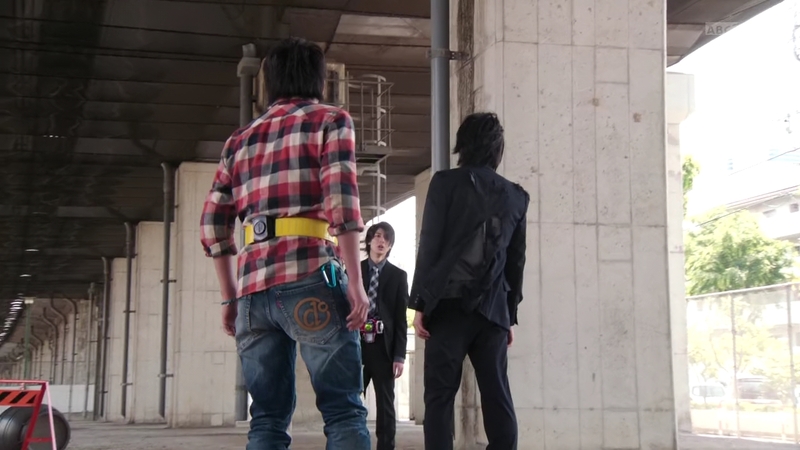 Outside, Takatora forces Kota to use the belt and a fresh Lock Seed to get some food in his stomach as they have a lot to talk about. Takatora tells Kota that he has raised Mitsuzane since he was a kid as their parents were always away. Kota relates how he too was raised by his older sibling in place of his parents. Kota says No. He thinks Mitchi understands what’s right and wrong and that he is only being forced into making these decisions because of both outside influence and lies of the past. Maybe Mitchi feels there are no other options. Kota thinks Mitchi must be the one most in pain and yet he hasn’t been able to do anything for him. Takatora says Kota is not responsible for this. If Kota were Mitchi’s older brother, Mitchi probably would not have made these same mistakes. Takatora leaves Kota, understanding now that he may be to blame for Mitsuzane turning out this way. 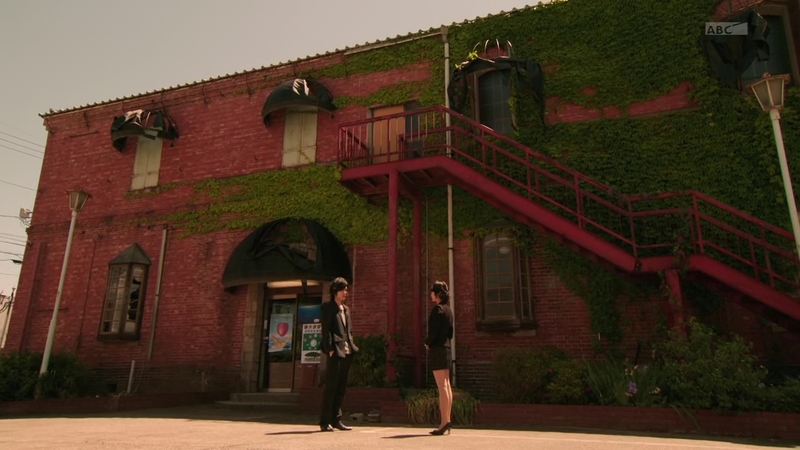 That evening, Takatora walks through the old Kureshima manse, now in shambles. 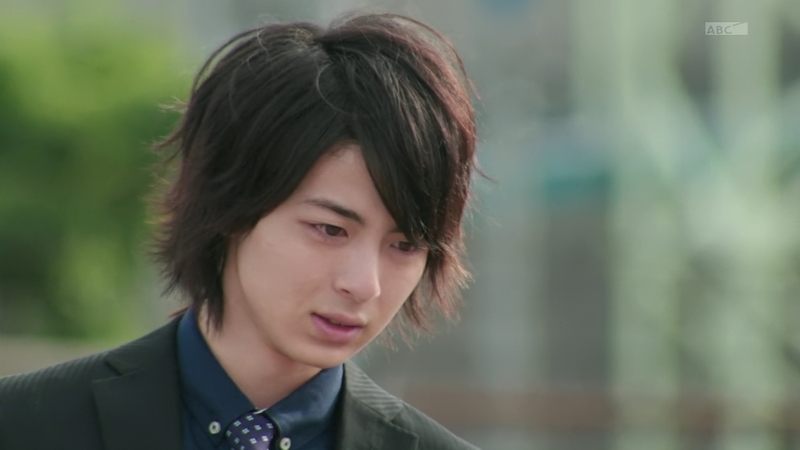 He remembers and maybe realizes how oppressed Mitsuzane must have felt before. But now it’s time for them to settle this. He gets a Driver and Melon Lock Seed and contacts Mitchi through a secure Yggdrasill emergency line. Next day, at the Garage, Mai and Zack are trying to make plans to save those captured by Yggdrasill. But Kota comes in looking for Takatora. Mai says he hasn’t been around. Minato gets up and Kota follows her out, asking if she knows where Takatora could be. What would you do if you knew? she asks. This is a fight between brothers. Kota should stay out of it. “I can’t just ignore it though!” Kota says. 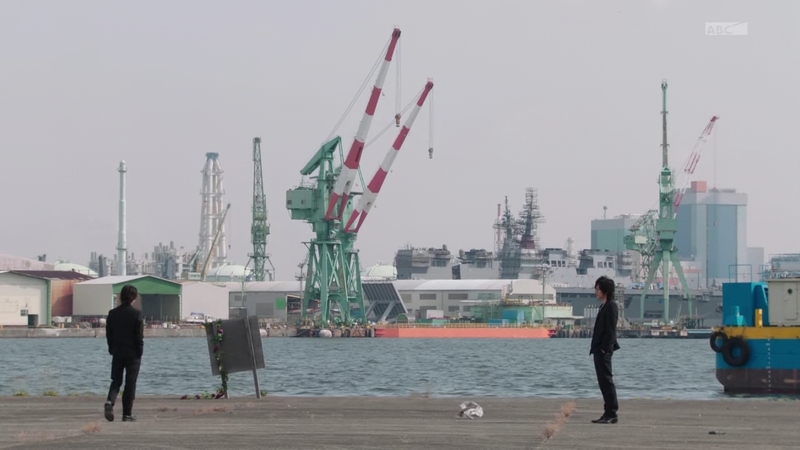 Mitsuzane meets Takatora by the water. 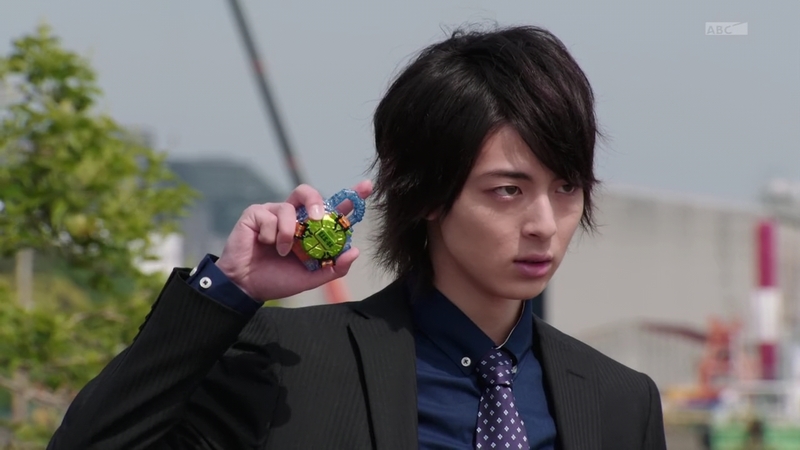 Takatora says he has one last job; to be the one to stop Mitsuzane. Kota tries to run to the brothers, but Redyue stops him. She tells Kota that he shouldn’t interfere with a hilarious and delicious fight between blood brothers. They should just watch the fun from afar. Kota understands Redyue is just as crazy as the “red guy” and he quickly henshins to Kachidoki Arms. Redyue is intrigued by Kota’s toy potential. 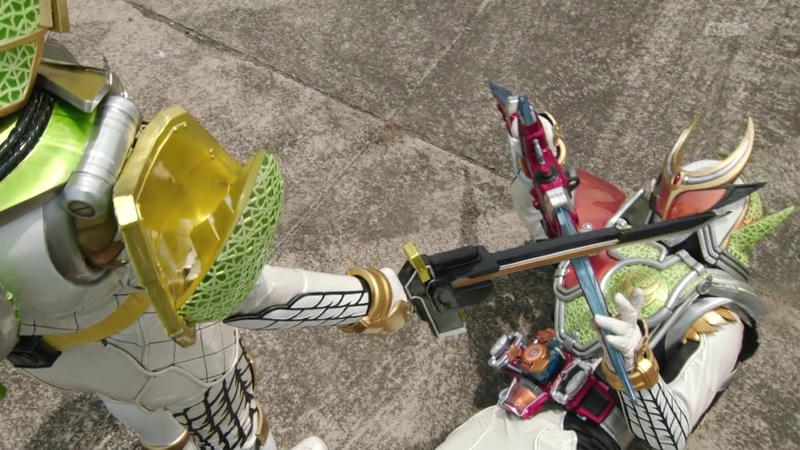 Takatora henshins to regular Melon Arms while Mitchi goes Melon Energy. Kota wants to know what Redyue is doing with Mitchi, but she says all she’s doing is watching and enjoying him dance around without even any prodding. That’s the most fun toy anyone could have. This enrages Kota even more and won’t stand his friendship with Mitchi being destroyed for Redyue’s twisted pleasure. Kota goes Kiwami Arms and bombards Redyue. But Redyue cannot believe Kota has the power of the Fruit of Knowledge. She escapes a Hinawadaidai-DJ-ju finisher and laughs that Kota seems oblivious to what the power seems to be doing to him. She tells him she is looking forward to seeing his reaction when he finds out. 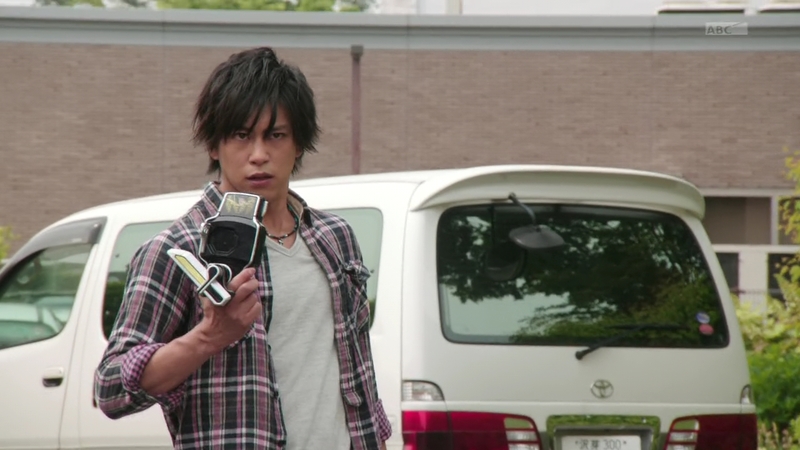 Back to the duel, Takatora laments at the fact Mitsuzane only inherited his dark traits when Mitchi had all the skills to outshine and surpass him. But Mitchi says it’s Niisan’s fault for shoving his ways down his throat. 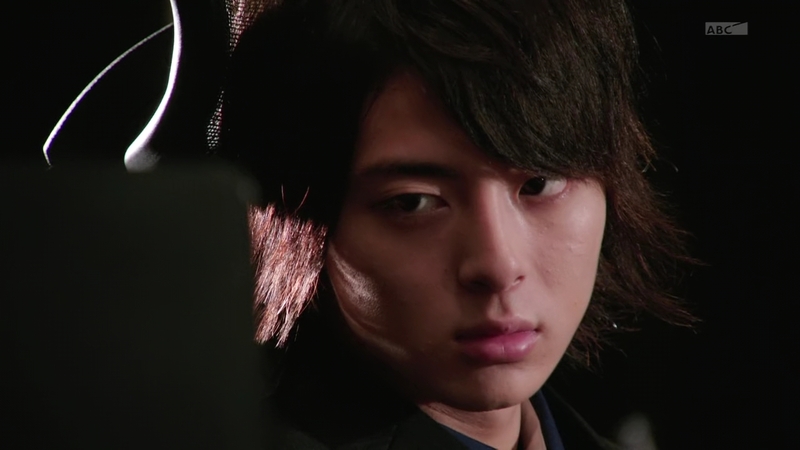 Mitsuzane reminds Takatora that it was Niisan who talked about noblesse oblige. How those most fortunate must be honorable and sacrifice first. But is being used and hurt by others honorable? No one would be happy with that. 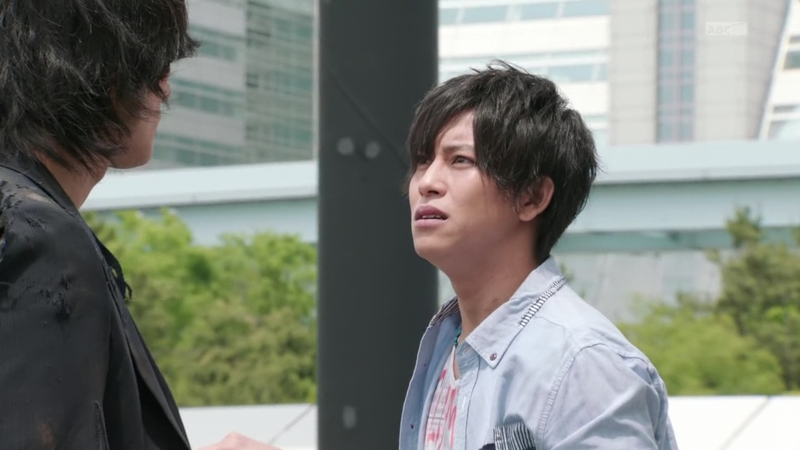 Takatora’s frustration reaches a peak as Mitsuzane tells his Niisan that his last act should be to sacrifice himself to little bro. 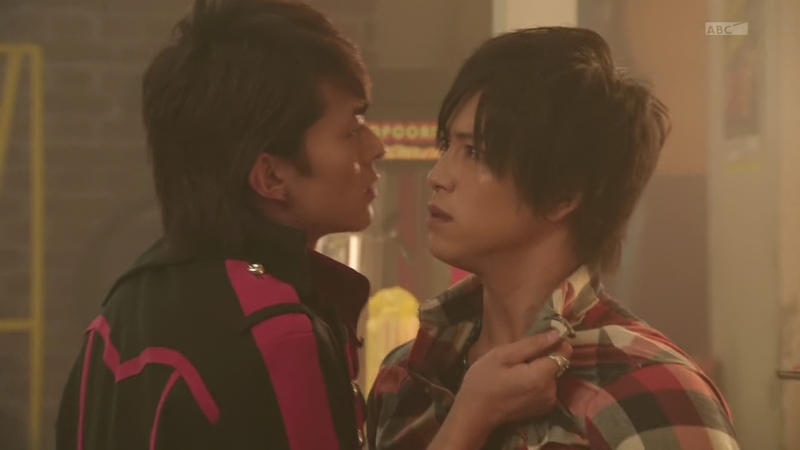 Takatora and Mitchi trade shots until Niisan gains the upper hand. 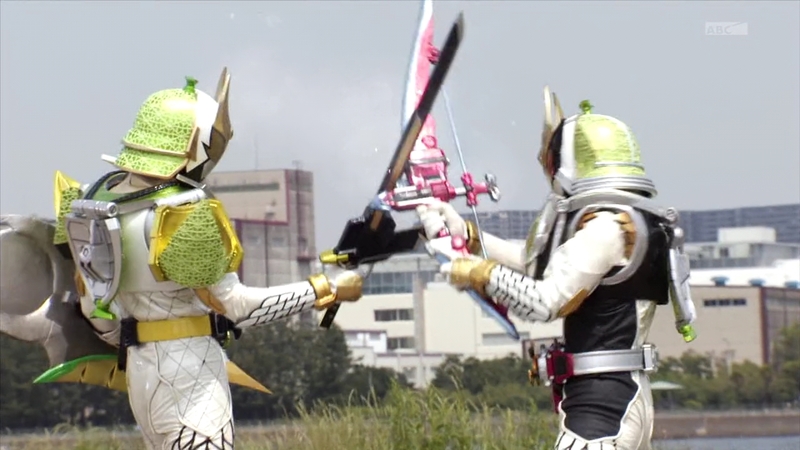 Takatora prepares to deliver a final blow, but pauses to flashback to simpler times. 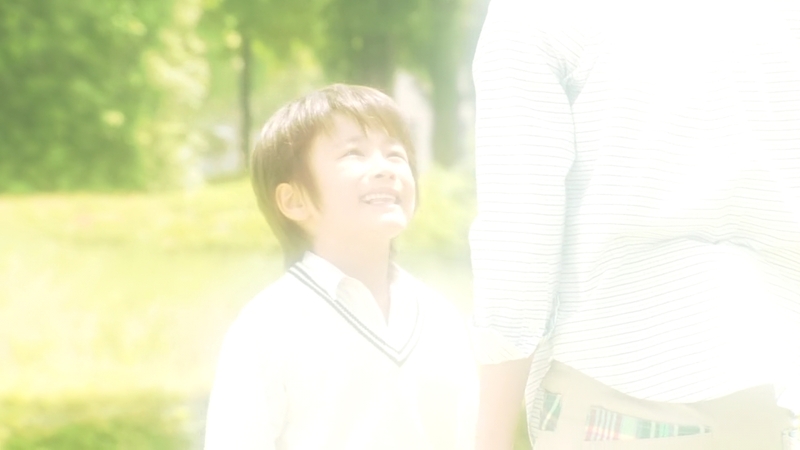 Takatora remembers being the caring older brother to a then-cute and innocent little Mitsuzane. But Takatora’s moment of hesitation gives Mitchi the opening to deliver his final blow, sending Niisan, broken helmet and all, flying into the water. Mitchi de-henshins as he watches his brother sink to the bottom. Kota meanwhile continues running toward the docks, hoping he’s not too late. Oh boy. Another one. Insanely emotional and dramatic, yeah? So I’ve wanted overflowing tears and screaming and stuff, but Kota and Mai’s reactions are exactly how one who’s watched the show for 36 episodes would expect them to react. They believe in their friend to the end. And in that sense, I can see them taking that feeling toward some epicly tragic ending. That’s definitely Kota for you, even though you definitely have the urge to feel as frustrated and annoyed as Kaito with Kota’s unwavering trust for his bud. The little conversations with Kaito and Mai have always been interesting. From their shared past to their often opposite, yet not conflicting views on strength and power are really fascinating and add a lot to the events happening around them. Redyue being a sadistic b*tch should come as no surprise either. But I definitely see her biting the dust sooner rather than later. All the Takatora scenes this episode were awesome. 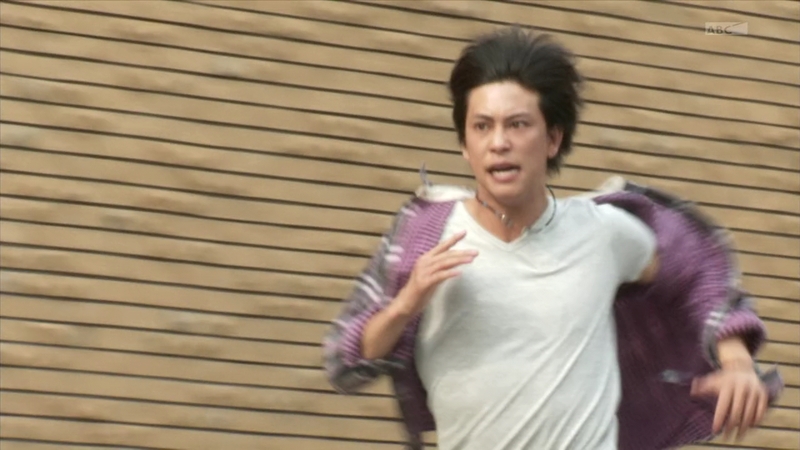 His painful realization that he basically created this monster that is Mitsuzane was great to watch. And it’s true. I’ve wanted to see more into Mitchi’s head and why he is the sonuvabitch he is, and this episode certainly helped give us a peek. Indeed, Takatora’s heavy hand already played into Mitchi’s jaded view of the world from the beginning. But then seeing his all-knowing, all-powerful Niisan get absolutely played must’ve thrown Mitchi’s world into an even faster tailspin than it already was. I definitely see it. 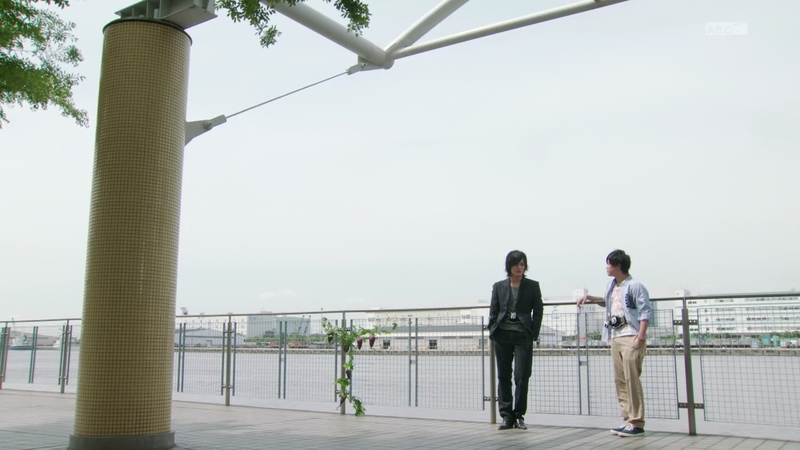 Takatora and Minato’s little chat was great too. I’m looking forward to seeing them and Ryoma in one place together. Likely soon. 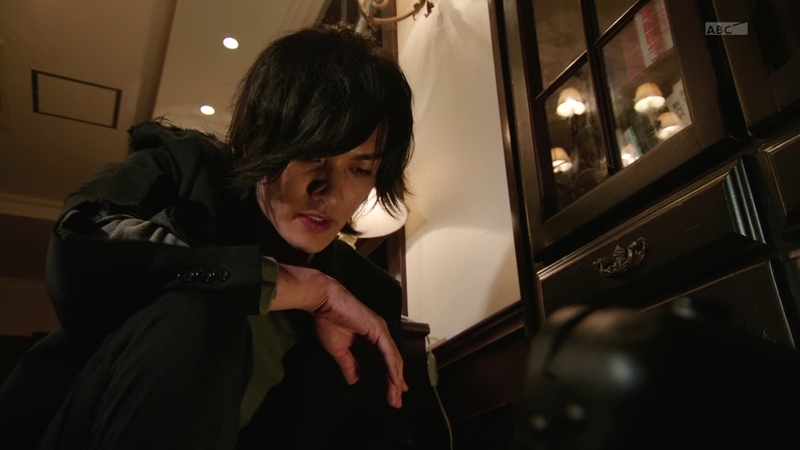 Another cliffhanger with Takatora likely not dead, again. But WTF at the preview for next episode? Another movie promo episode!?!?! WHY!?!?!?!? !